Following up on the theme posted in March 2012 this is a guest post from Erin Taylor, New England Aquarium Conservation Department projects assistant, on the Phoenix Islands Protected Area initiative. In a series of posts she will share research on 19th century sperm whaling in the Phoenix Islands. This careful examination of whalers' log books, maps and historic whale distributions may help researchers studying sperm whale populations in Kiribati today. In the previous post in this series, we discussed how historic logbook records kept by whalers can provide a good picture of American whaling and sperm whale distribution in the Phoenix Islands during the 19th century. But these logbooks aren’t able to tell us everything about sperm whales in PIPA, and unfortunately, the whales don’t keep daily logbooks themselves—so it remains that ultimately little is known about sperm whale life history here and, in general, globally. Though we only understand a little about these magnificent predators, we do know enough to understand that sperm whales are an important component of marine ecosystems. They are a creature of extremes: sperm whales are the largest of the toothed whales, and they have the largest brains and longest intestines of any animal on the planet. Their enormous heads house the most powerful sonar system of any animal, which they use to find food (namely deep sea squid) and navigate in the vast ocean. Further, sperm whales are one of the most ‘cosmopolitan’ species, as their range extends across most of the world’s oceans—including, of course, through the Phoenix Islands. Sperm whales also make some of the longest and deepest dives of any mammal, with the ability to hold their breath for up to 90 minutes and reach depths of over 3000 m. This behavior is part of what we suspect makes PIPA such lucrative habitat for sperm whales. The majority of PIPA’s area is comprised of ocean floor averaging over 4000 m in depth —perfect for a sperm whale pining for some deep sea squid. Another aspect of sperm whales emerging in research is the importance of social life to sperm whales’ biological success and population vitality. In the tropical Pacific Ocean, groups of females and young sperm whales form clans with unique cultures (adult males migrate to the poles alone or in small bachelor schools for most of the year). Each clan has distinctive foraging behavior, movements and vocal patterns. (These series of loud clicks are called ‘codas’—listen here.) Because of these unique family structures and cultures, every individual sperm whale is an important member of its family and plays a special role, much like our own human families. 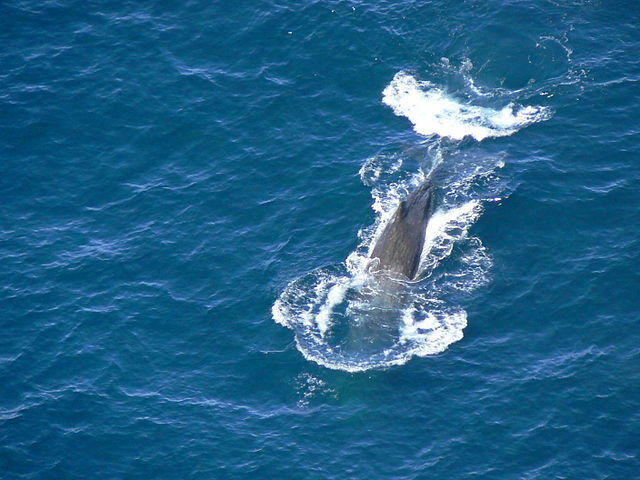 It is suggested that this highly social nature made sperm whales particularly vulnerable to heavy whaling efforts in the 19th century and in modern times. Capturing a sperm whale is not like picking a random jellybean out of a jar of thousands that ultimately leaves the jar’s composition relatively unaltered. Rather, by removing a sperm whale from its ecosystem, the whalers were removing a unique, irreplaceable member of a family with a specific role, an act that may have resulted in the unraveling of the social fabric on which that clan so greatly relied. These complicated dynamics cause sperm whale clans to be affected by threats like past whaling efforts—and current climate change—in different ways, making these impacts that much harder to study and understand. As a first step towards understanding more about these impacts and sperm whales in PIPA, we used logbook records digitized by Smith et al. to create GIS maps. The map below represents over 2,000 entries from the logbooks of 122 American whaling voyages that sailed between 1825 and 1874, concurrent with the height of Yankee sperm whaling in the Pacific. Each entry represents a day of whaling activity (or one whale ‘encounter’). 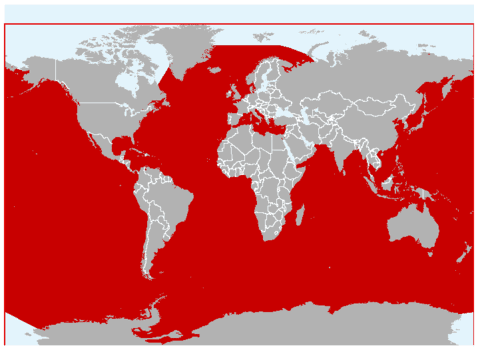 These records show where and when whales were sighted or harpooned (noted as being ‘struck’ or ‘caught’), as well as instances when there were no whales to be found. Studying these patterns is critical for developing a greater understanding of the life history of sperm whales in PIPA and our maps reveal some interesting patterns. 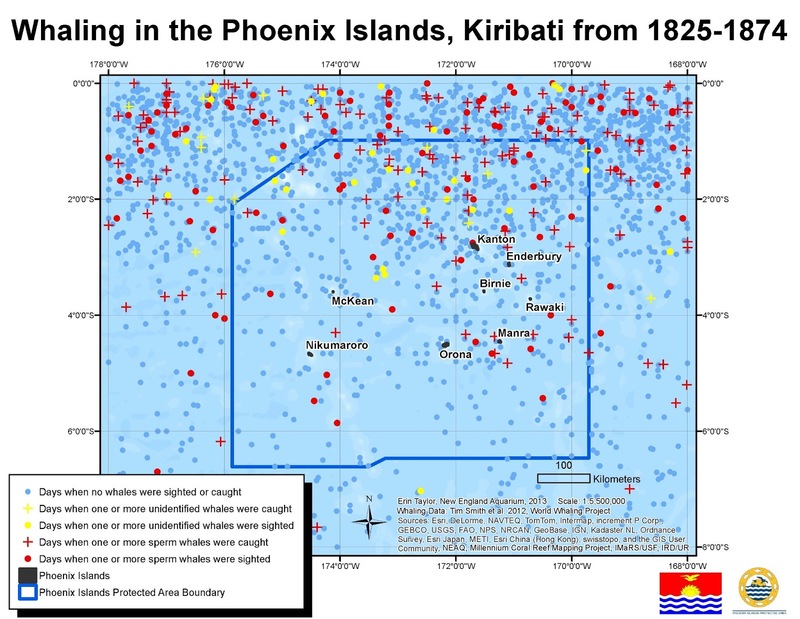 One clear pattern is that the whaling activity seemed to be heavily focused in the northern regions of PIPA and just beyond its northern border, close to the equator. In the next post, we’ll show you some of the surprising patterns that emerge when we break down the whaling data by months and by years. Learn more about how Aquarium researchers are connecting this historical research to the Phoenix Islands Protected Area here.